I've been considering new designs for one of our spillways. It'll be installed on the downstream side of a bridge that storm water continues to erode toward the wings, abutments and center pier. Gabions were installed on the downstream side of the existing concrete wall, but over time they broke and the rocks were washed downstream. 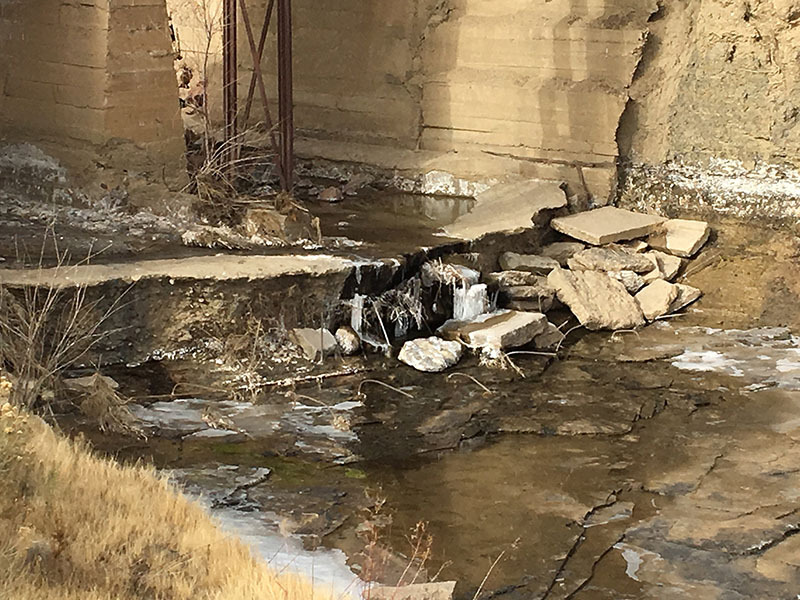 Does Colorado LTAP have any publications addressing water spillway design or suggested remediation? 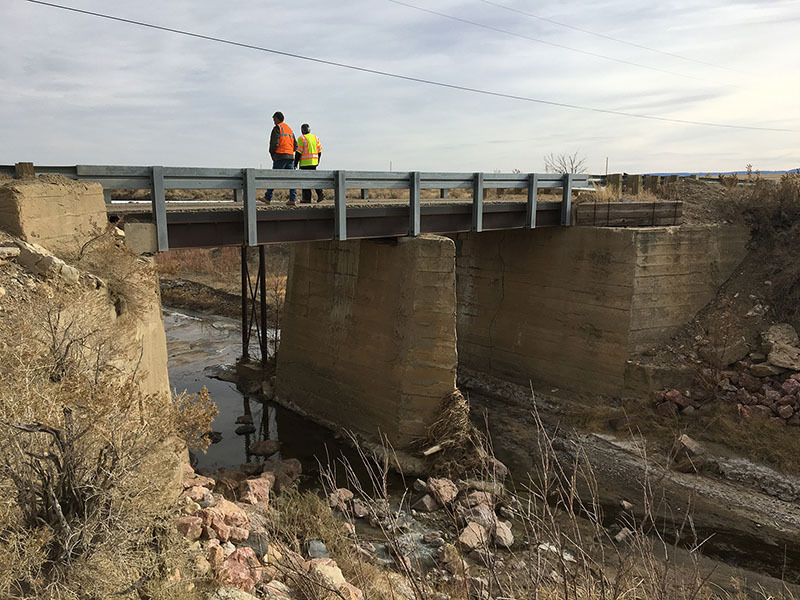 Colorado LTAP staff performed an on-site technical assistance visit with a CDOT Hydraulics Engineer to provide training and remediation solutions. The comments were provided to the local agency on site, and are being accumulated into an article to be posted here soon.